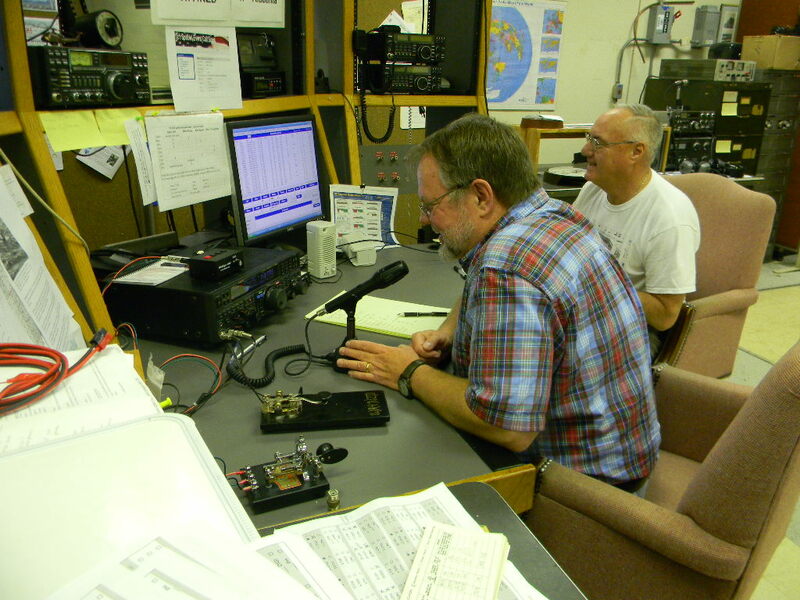 The Marshall Amateur Radio Club has changed its call sign. We are now NN4SA. We had been WA4NZD since 1980. We are gradually switching over our online presence. We have a draft WordPress website http://nn4sa.wordpress.com. It is active but not yet developed. For now we will continue to update our information here, at the https://wa4nzd.wordpress.com site. 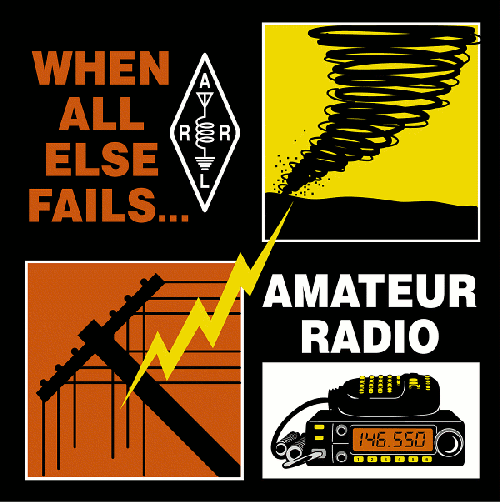 Our QRZ.com page is now set to NN4SA: http://www.qrz.com/db/nn4sa. Searches for WA4NZD on QRZ.com will bring you to the NN4SA page. The NN4SA call sign is now active on eQSL. 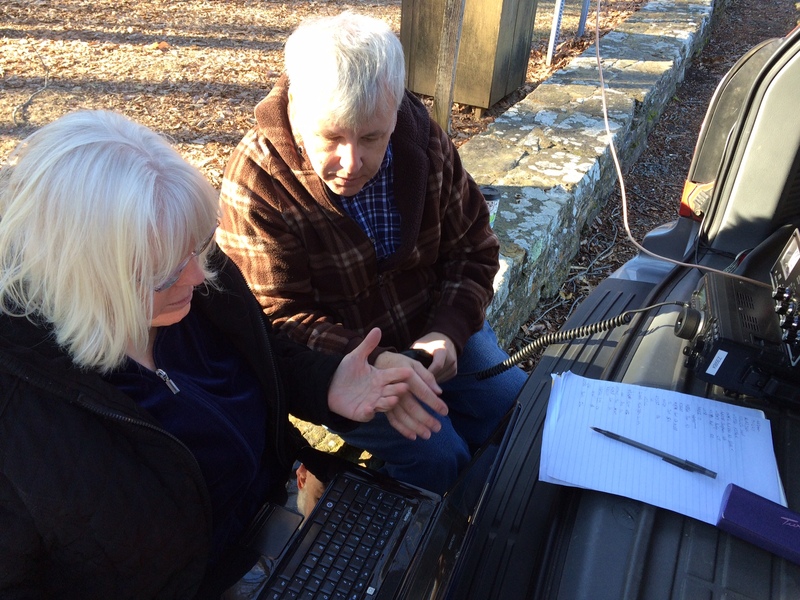 We will have NN4SA active on the ARRL Logbook of the World soon. We have not yet changed our Gmail and Twitter accounts. 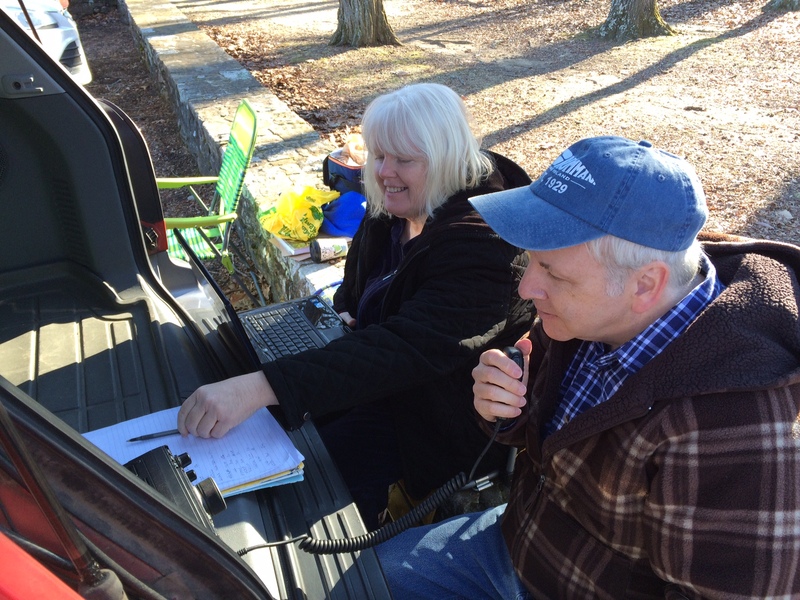 Patti Kurth and I (Gary WA2JQZ) joined Rob KB5EZ last Saturday afternoon to operate portable on Monte Sano for the North American QSO Party – Phone. 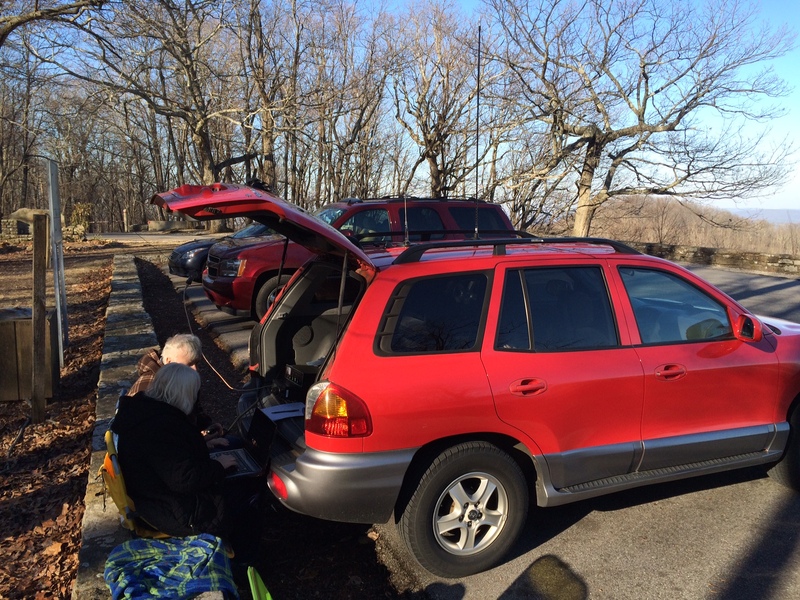 We operated from a scenic overlook on the east side of the park. The weather was sunny and mild, making a perfect winter afternoon. We made 60 contacts in the US, Canada and the Caribbean in about 3 hours. For antennas we strung an end fed wire in a tree for 20 meters, and for 15 meters we used Rob’s 17 meter hamstick on the car with an external tuner. 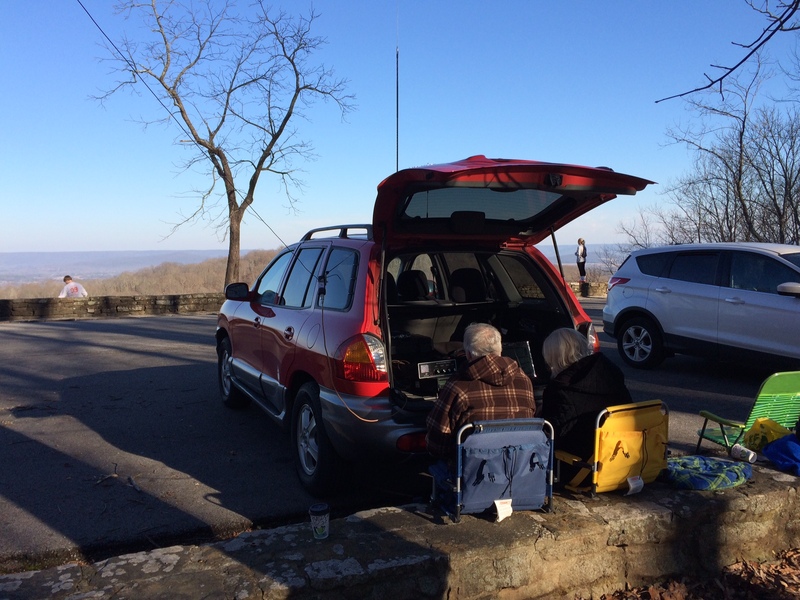 Our transceiver was a Yaesu FT-897 running 100 watts off a dedicated car battery. Our contacts ranged from Washington State to Newfoundland, Canada to the Dominican Republic and US Virgin Islands. We had a beautiful day with beautiful scenery, and we had lots of fun operating. 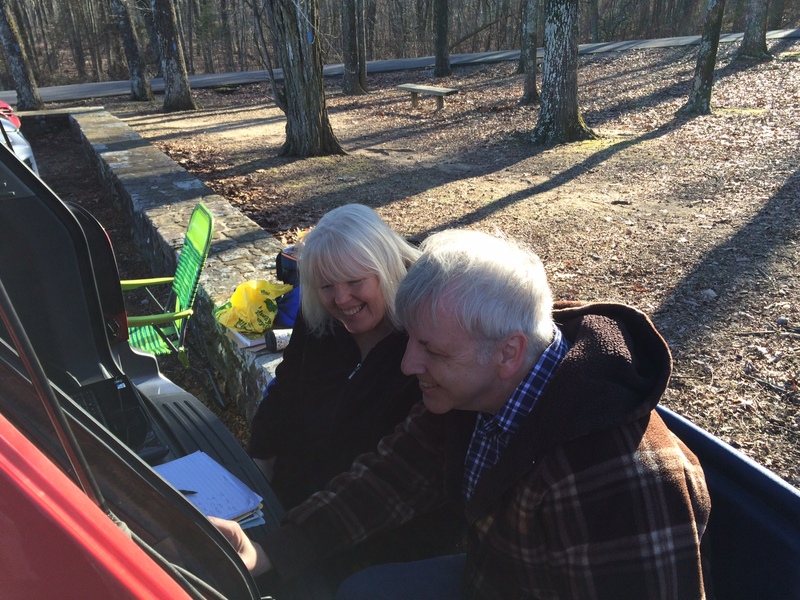 Rob continued operating later in the evening from his home QTH. He finished with 75 QSOs with 44 multipliers and 3300 points.